Rainbow pose is best done on a non-slip mat, or area of carpet, barefoot, with plenty of space. Try to do rainbow pose with your child if you can, as young children learn best by watching and copying movements, however stay safe. If you have any concerns as to whether you should do the movement always consult a health professional. If you feel any pain, stop right away. You and your child can do rainbow pose in many positions: sitting back on your heels, kneeling, standing up or lying down. We suggest you start by sitting back on your heels. This is easier (kneeling needs more coordination). Guide your child to sit back on their heels opposite you. Bring your palms together and look up at your hands. Then, slowly take your arms, in wide arc, down to your sides, and look straight ahead. To make this pose even more effective (and relaxing) for yourself, try taking a deep breath in as you stretch your arms above your head. Then breathe out as you take your arms down to your sides. Now reverse your arm movements. Bring your palms back together above your head, once again encouraging your child to copy. You are now both back in the starting position – ready to do the pose again. Repeat Rainbow pose several times so your child has a chance to learn the movement and enjoy doing it with you. Finally give them a hug! Even young children can spend a great deal of time sitting, this can result in them adopting a poor sitting posture. Rainbow pose offers your child a great opportunity to carefully stretch out their neck, upper back, shoulder and arm muscles. After doing the pose they will have a clearer idea of how they should be sitting or standing. 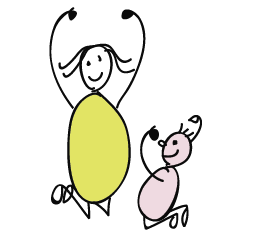 As your child raises their hands above their chest and takes them back down to their sides they will be gently using their tummy muscles. Active tummy muscles are essential for good posture and more complex physical skills. Your child will be taking their hands towards and then away from their ‘midline’. This is the imaginary ‘line’, down our body, which separates our left and right hand sides. Interestingly, it is quite hard for children to move their hands away from their midline and back down to their sides. 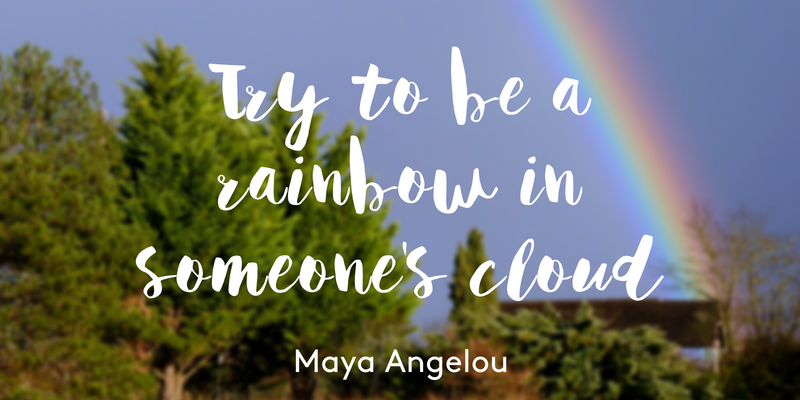 Activities like rainbow pose, which encourage children to work in their ‘midline’ area, are great for developing pre-writing skills. 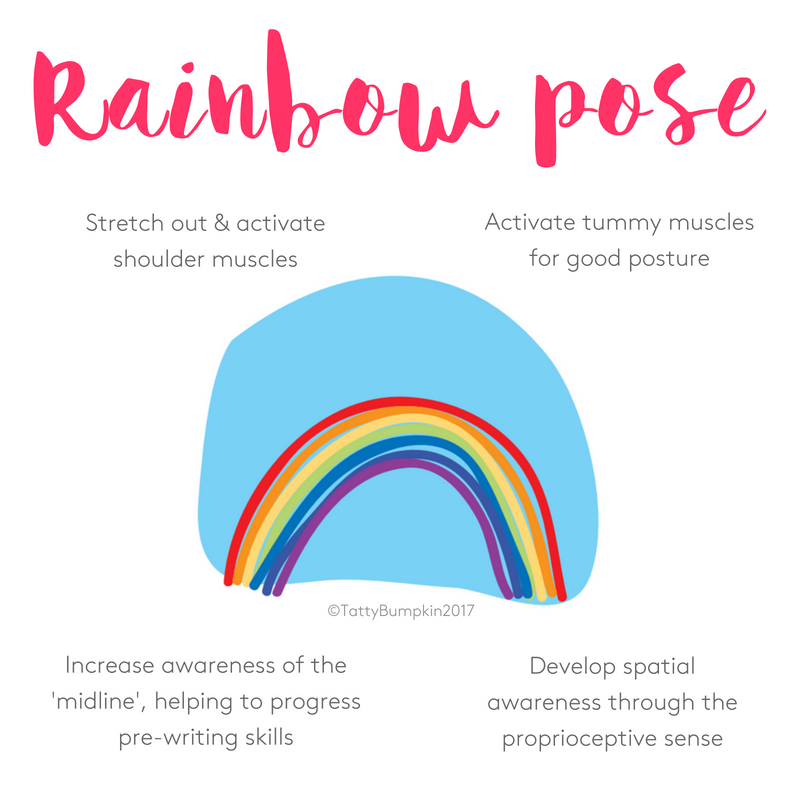 Both rainbow pose and playing the ‘raindrop game’ (especially with eyes closed) helps your child build up a ‘body map’ using their proprioceptive sense. This map tells them about the position of their body at any one time and is crucial for more complex skills such as dancing, playing football & writing. Then imagine it’s starting to rain. 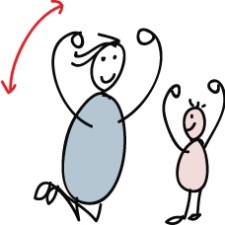 Guide your child to stretch their arms out so that their hands are above them and then to point their index fingers. 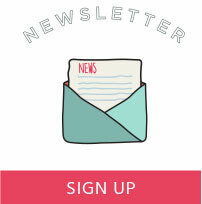 See if your child can now bring their pointed index fingers down to touch their nose one at a time – like raindrops! To make it even harder, encourage your child to ‘have a go’ at doing the same ‘raindrop’ movement, only this time with their eyes closed. Be careful! You can also do this ‘raindrop’ game sitting up. 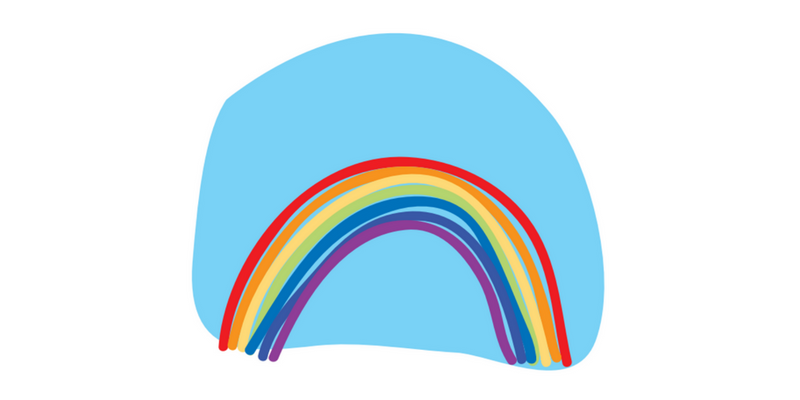 Younger children may find it easier to do rainbow pose standing up. Start sitting back on your heels with your child standing opposite, see picture. Take your arms out to the side, bringing your hands together above your head. Then take them back down to your sides. Encourage your child to copy you. 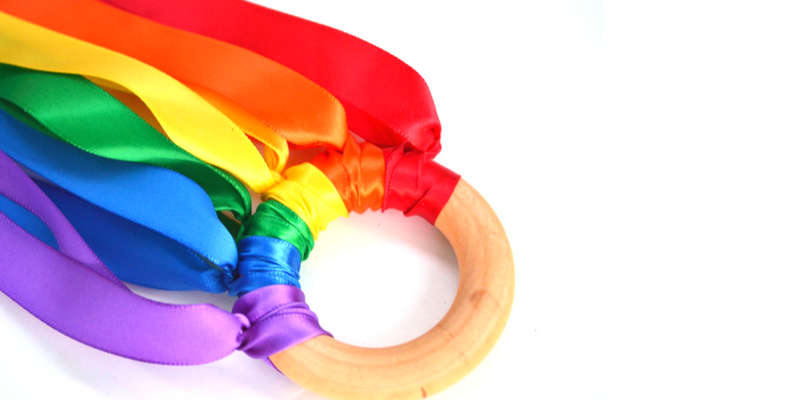 Make the activity more fun by making a ‘rainbow ribbon’ for your child to hold and wave. This is easily done by attaching several short, coloured ribbons to a shower ring. Always use your common sense about what objects may be dangerous for your baby or toddler. Whilst they are playing with the suggested props supervise closely and NEVER leave them unattended, or with another child. Ribbons and streamers over 25 cm long can pose a strangulation risk. Why not make a ‘ribbon ring’ for your child to wave and shake about! These can be made from a selection of coloured ribbons and a shower curtain ring. Your child will love to hold these above their head and wave them across their body, developing their ‘midline’ skills.